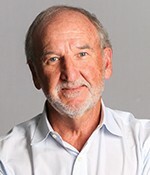 Paul Winn is a Co-Founder and Partner of PeakEquity Partners. Paul’s focus over the last 25 years has been in building sustainable growth Enterprise Software and Solutions businesses. In executive leadership positions at large and middle market enterprise technology companies as well as public and private companies, Paul has built and managed high-performance leadership teams that delivered significant shareholder value through effective growth strategies, new product development, geographic expansion, channel development, acquisitions, strategic partners and cross functional integration.